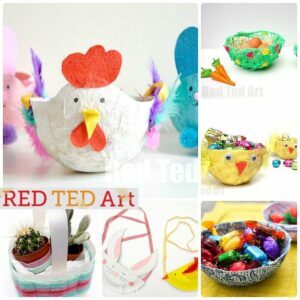 We have had DIY Yarn Bowls on our ?to do? list for a looooong loooong time. They are a great way for using up odds and ends of wool or yarn and are actually pretty easy (if a little sticky) to make. In the end, we decided NOT to ?JUST? 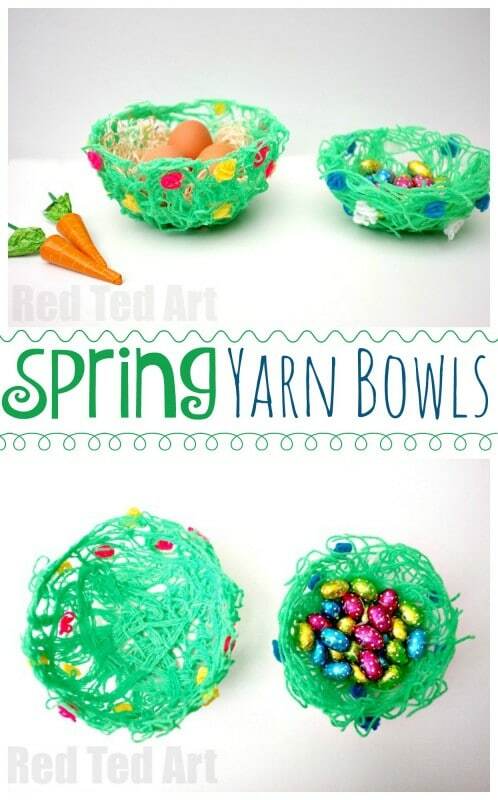 use up our yarn ends, but to take this fun kids crafts and turn it into a SPRING Yarn Bowl. 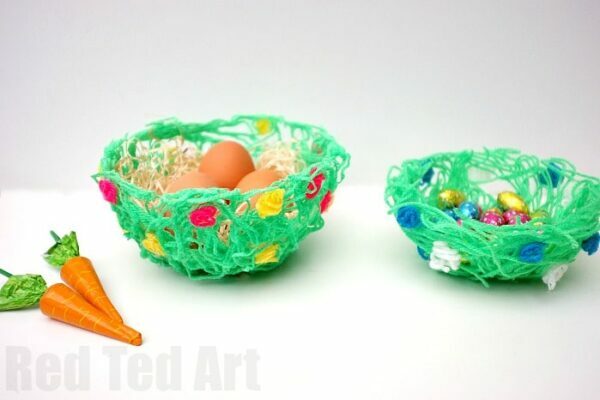 This Yarn Bowl DIY is just as easy as the classic idea, but it is perfect as an Easter Nest/ Basket or for Mother?s Day too! Or make it simply as a lovely room decoration. The KEY thing about making your yarn bowls, is to use GOOD QUALITY glue. If your glue is good, it will hold it all together. If you are using lower quality glue I would suggest that you do NOT water it down. The glue is key and using one that isn?t strong will result in a ?craft fail?. And we REALLY don?t want you to fail!!! !